The Greater Sahel region has never experienced such a high-level of arms availability. Given the large array of efforts now in place across the region to stem the proliferation of small arms and light weapons (SALW), it is pertinent to take stock, assess who is doing what, and reflect on opportunities to reduce programmatic duplication through enhanced co-ordination. 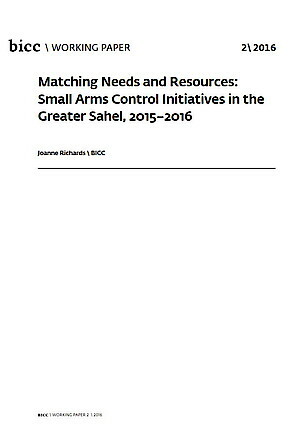 This Working Paper is a first step in this regard and provides an overview of small arms control efforts in the Greater Sahel region for 2015 to 2016. The information presented is drawn from a practitioner survey and accompanying literature review, and outlines not only current small arms control projects in 12 countries but also current capacity shortfalls. Produced as part of a joint African Union–Germany project on enhanced SALW control, this Working Paper aims to serve as a continually updated reference document, which will eventually become a comprehensive repository of SALW projects in the Greater Sahel.